This week, Community Development and Health Network (CDHN) celebrated funding their 800th Building the Community-Pharmacy Partnership (BCPP) project. 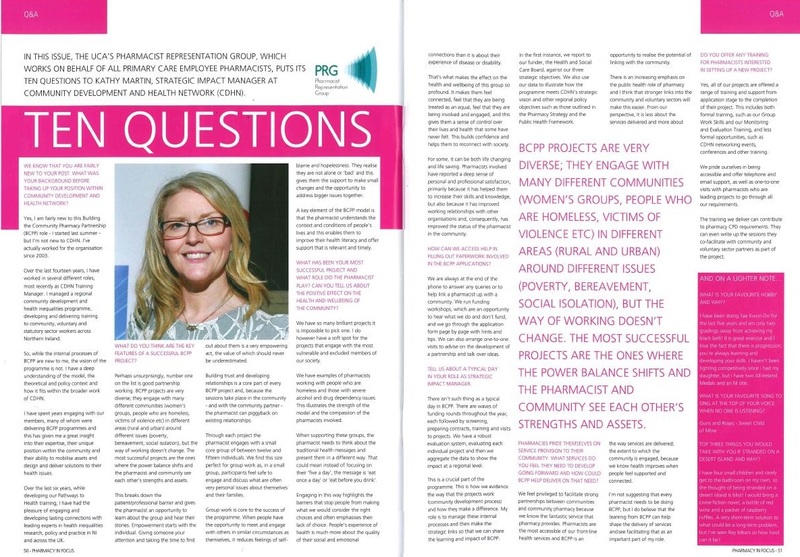 This milestone coincided with BCPP having invested a total of £5.3 million in grants to bring community and pharmacy together to tackle health inequalities. Congratulations to our Director Joanne who was Highly Commended in the category 'Leading for Impact' at the Co3 Leadership Awards.